Rome. 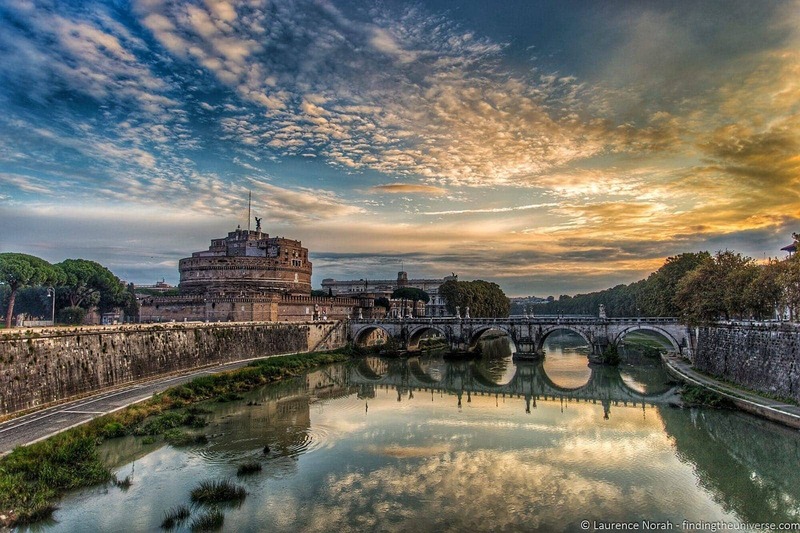 The Eternal City. A place so stuffed with history that they’ve had to layer it, like a cake, sandwiched atop itself. Everywhere you look, history piles upon history, from thousands of years ago to the present day, all jostling for space in the city, and time on your itinerary. It’s one of my favourite cities in Europe, and definitely one to add to your to-do list if you’re visiting Italy! The problem is, if you only have a couple of days to spend in Rome, say a weekend, you might be a little perplexed as to where to start, and how to get the most out of your visit, particularly if it’s your first time. In today’s post I’m going to suggest one way to get the most out of your time, see the essentials, learn the history, and even get to grips with pasta making while you’re there – by taking some detailed walking tours that will cover the essential parts of the city! Specifically, take some walks with Walks of Italy, who offer a good many tours in Rome, three of which we were invited to experience, following on from our tours with them in New York. The three Rome tours we took with Walks of Italy are the perfect way to quickly see the highlights of Italy’s capital city, learn a little Italian cookery, and have time left over to explore on your own and eat all the gelato. Which is the main thing to do when visiting Rome. I can also recommend reading this post in conjunction with my guides to spending 2 days in Rome and 3 days in Rome, so you can mix and match walking tours with self-guided adventure, as you choose. Let’s see what we did with Walks of Italy, and why it would make a great introduction to Rome. One of the slight problems with Rome, that posts like this don’t help with, is that it’s just so darn popular. Pretty much whenever you visit, it’s going to be filled with visitors, all keen to see the highlights. And a visit to the Vatican City is of course a must – letting you experience the mighty St Peter’s Basilica, the incredible Sistine Chapel, and the endless corridors stuffed with priceless artworks that make up the Vatican Museums. Unfortunately, it’s a must for everyone, which means there are usually long queues to get in, and your experience in the Sistine Chapel in particular is going to be both crowded and full of elbows. I’m not saying this to dissuade you from going of course. Just to advise you that you need to be a little bit clever when it comes to planning your visit. Thankfully, Walks of Italy has come up with a cunning solution to the problem of crowds. Which does require you to get up a little early, admittedly. Not everything is perfect in life it seems. Still, if you get up early you might catch a lovely sunrise over the Tiber river, as in the first photo in this post, which I caught on the way to this particularly tour. So it can all work out. The tour in question is called “Pristine Sistine”. 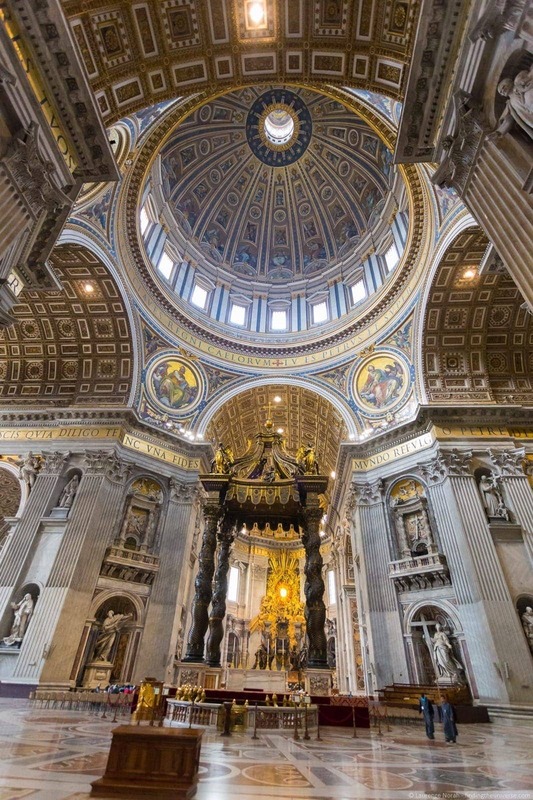 It includes, as you’d suspect, the Sistine Chapel, as well as the Vatican Museum collection, and St. Peter’s Basilica. The key point is that this group tour goes into the Vatican Museum at 8am – a whole hour before the Vatican Museum opens for general admission. Meaning you get to wander practically empty corridors in the Vatican! 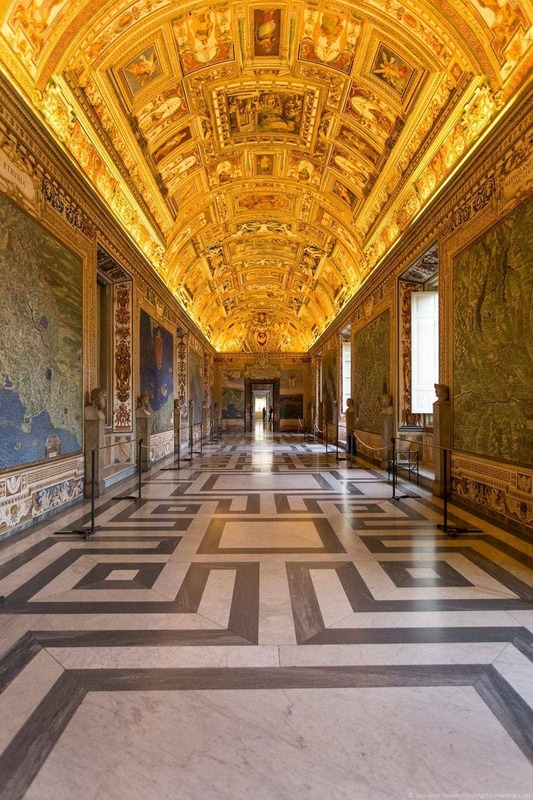 In addition, the guide expertly leads the group through the maze that is the Vatican Museum and straight to the Sistine Chapel as the first port of call, meaning you get to experience it with just a handful of other early birds. So what was this like in reality? I have been to the Vatican before, and the Sistine Chapel. Except I went mid-afternoon with the rest of the crowds. 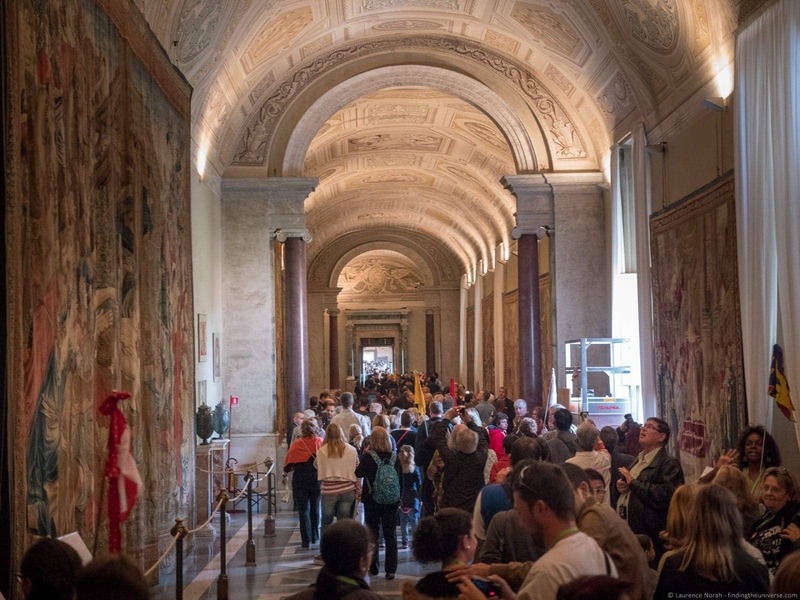 Nearly six million people pop into the Vatican Museum every year, and trust me, it can be a crowded experience. It’s kind of hard to really appreciate the wonder when you’re fighting for breathing room, and photography opportunities float right out the window. This tour was a wonderful contrast to that. 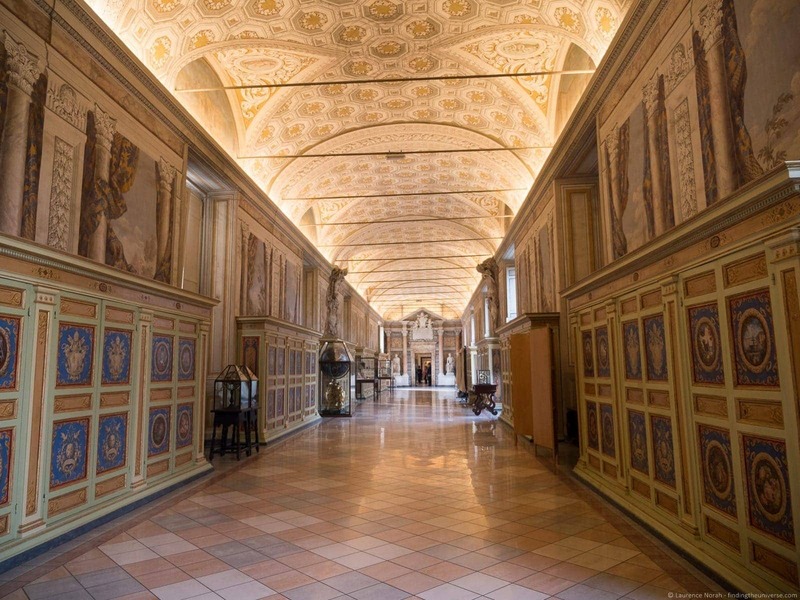 Being able to freely walk through the almost empty corridors of the museum and then leisurely just enjoy the unbelievable masterpiece that is the Sistine Chapel was truly marvellous. 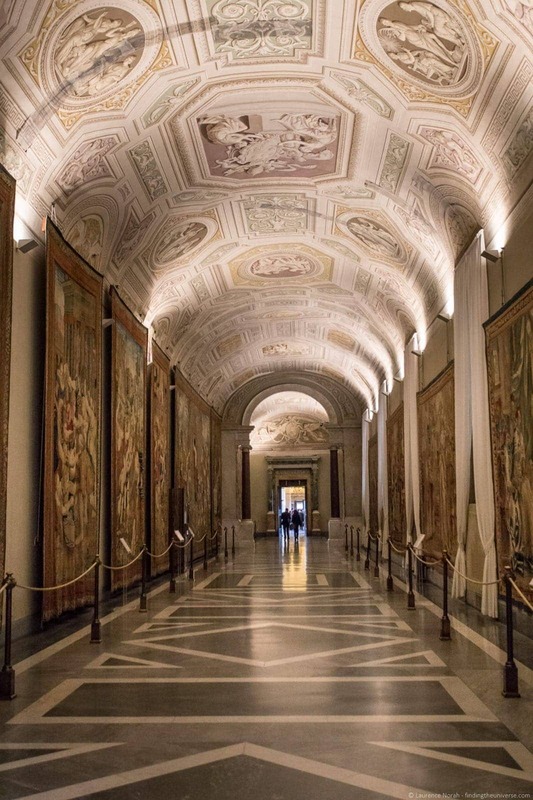 Following the Sistine Chapel, the tour then goes through the highlights of Vatican Museum collection, including masterpieces by Raphael and Michelangelo. As the time passes, the museum does get more crowded of course, but you will see a good deal of it before it is too crowded. Then, you go back through a more crowded Sistine Chapel and pop out of the Vatican Museum into St. Peter’s Basilica. It’s worth mentioning at this point that you also have the option before you exit the Vatican Museum to just stay at your leisure and explore, rather than continuing the tour into St. Peter’s Basilica. St Peter’s is free to enter, so you can visit at any time, but the Vatican Museum has an entry fee, so if you want more time to explore the museum, you can just do that and leave the group. No-one on our group chose to do that, but it was there as a choice. Finally, the tour culminated with a tour around St. Peter’s Basilica. This is one of the most important, and largest, churches of the Catholic religion, and is very much worth visiting on a guided tour. The tour ended inside the Basilica, where we could continue to explore at our leisure, and to visit the crypt or head up the dome if we wanted. I very much recommend doing the latter if you want a great view over Rome, although it’s not included in the tour price. Of course, the other features that make Walks of Italy tours memorable were all here too. A knowledgable, friendly guide and a group that was 12 people in size, making the tour more intimate and personable. In total, we spent just under four hours with our guide, and I very much recommend this as a great way to start your Roman experience, with the rest of the afternoon free for your own adventures. Rome was of course, built by the Romans! 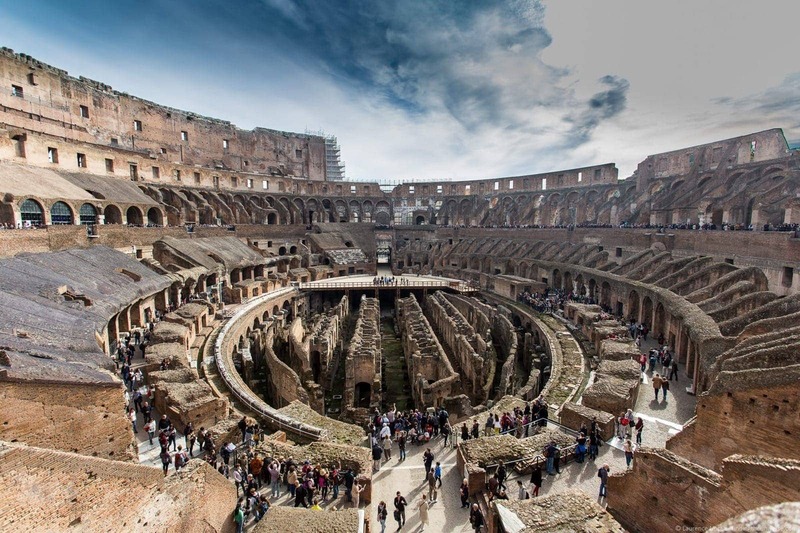 And the most recognisable relic that the Romans left us was the Roman Colosseum, a massive arena in central Rome, the largest amphitheathre in the world, and an absolute must when visiting Rome. 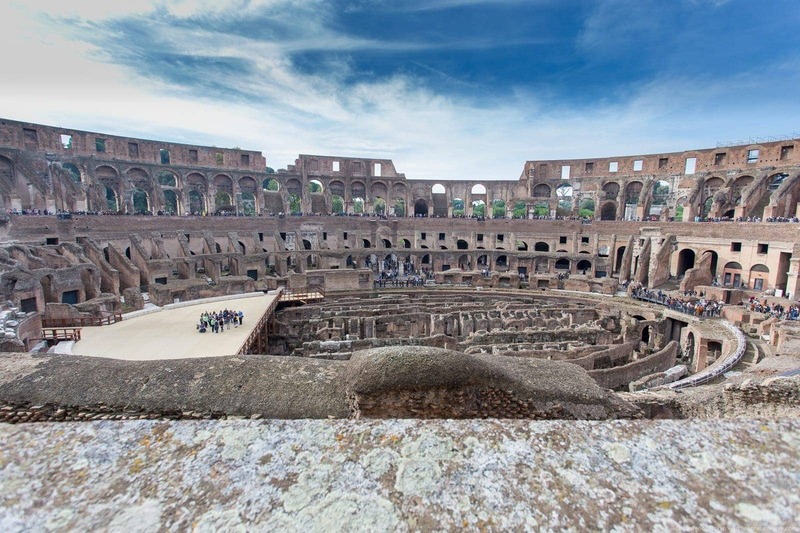 Walks of Italy offer a number of Colosseum tours, many of which also include the Roman Forum, another highlight of ancient Rome. Both of these are best experienced as part of the tour to get the most out of your visit and learn about the history, construction and usage of these sites. This is particularly true of the Roman Forum, a sprawling complex of ruins which is tricky to interpret without the expert assistance of a guide. Our tour was the recently launched VIP Caesar’s Palace tour with the Colosseum & Roman Forum. Our guide was an expert in Roman history, having studied and worked as an archaeologist in the Roman Forum itself, so he was more than equipped to give us a full run down of everything we needed to know. Our tour started in the Colosseum, where our “skip the line” pass got us in quickly – more time seeing the sights and less time queuing is always a win in my book. From inside the Colosseum, our guide gave us a fascinating insight into the history of the Colosseum and it’s construction, with lots of detail on the downfall of Emperor Nero, on whose palace grounds the Colosseum stands. Following the Colosseum we headed to the Roman Forum, heart of the government of the Roman Empire. It was here that some of the most notable events in the history of Rome took place, including the cremation of Julius Caesar’s body. There’s a great deal to cover here, and our guide was able to give our group an excellent feel for what it might have been like at the height of the Empire, through the medium of drawings reconstructing the site and of course, the stories of the site itself. 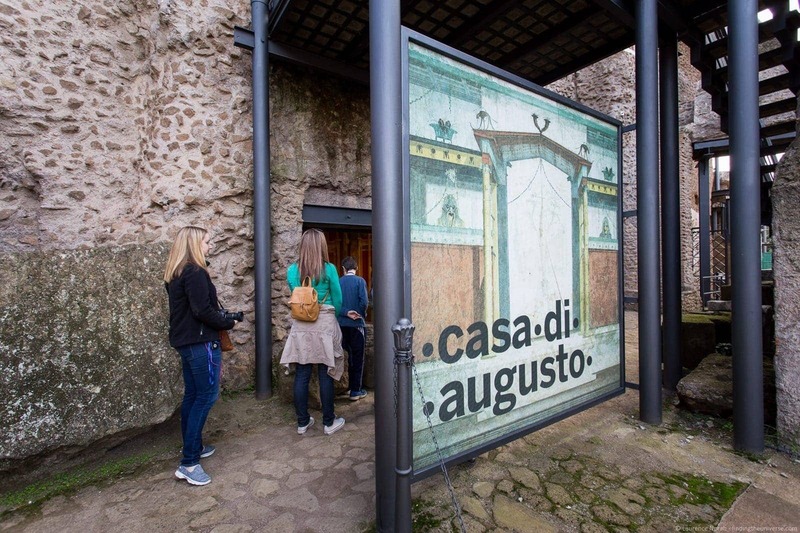 Finally, this tour took us to the recently opened Casa di Augusto, a newly opened area inside the Roman Forum. This was a really special part of the tour, as this part of the complex was opened exclusively for our group, and together we were given leave to explore the home of the Emperor Augustus Caesar, heir to Julius Caesar, and the most powerful man in the world at the time. His home on palatine hill literally gave us the word “palace” as we use it today, and it was an immense priveledge to be able to wander these ruins and learn about the lives of Augustus and his wife Livia during this fascinating period of history. 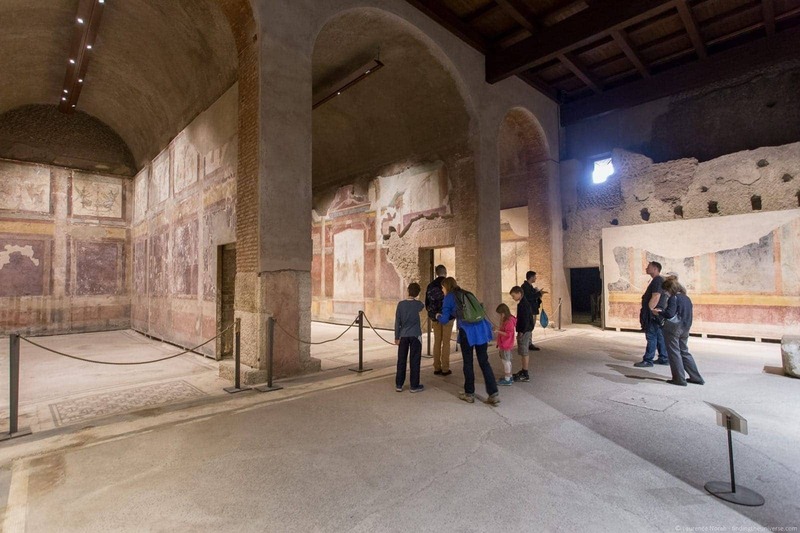 The building itself is remarkably well preserved, with many of the frescoes that Augustus and Livia enjoyed still in excellent condition today. 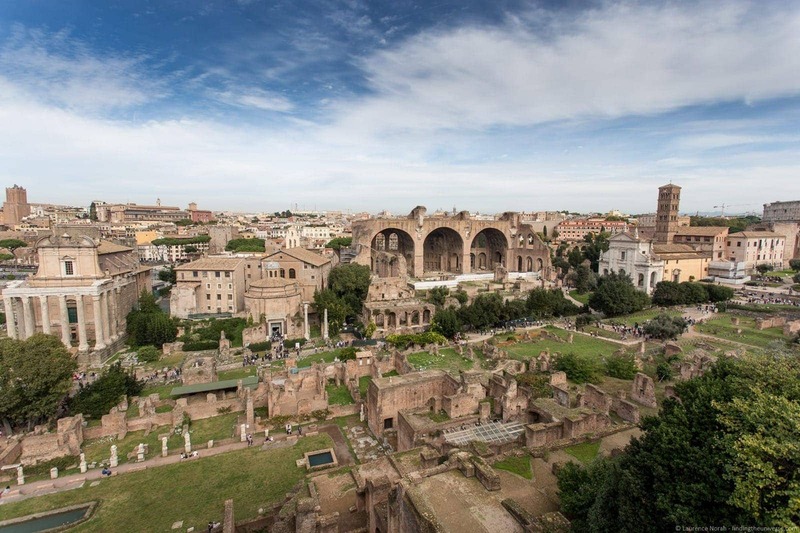 A very worthwhile tour, which lasts around three and a half hours, and finishes in the Roman Forum just in time for lunch, giving you the whole afternoon free to explore at your leisure – either more time in the Forum itself, or on to explore more of Rome! 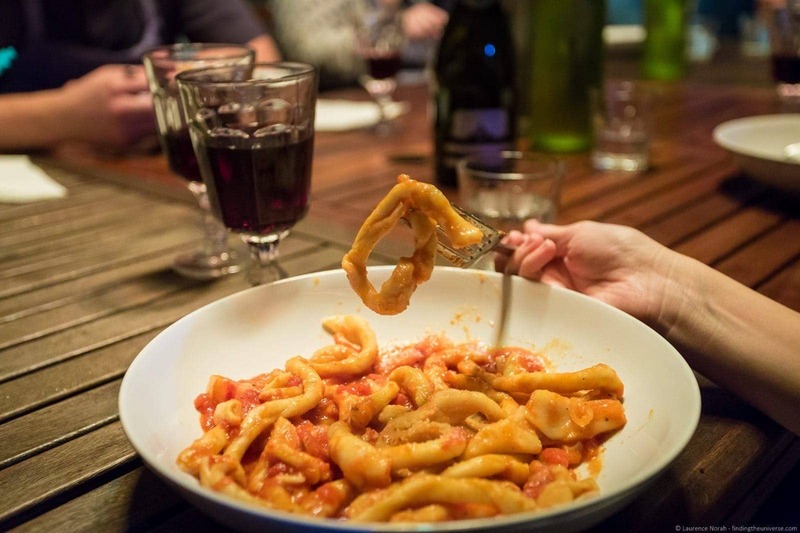 Bonus round – Learning how to make Pasta in Rome! The last part of my recommended itinerary for your two days in Rome is a bit different, and revolves around food. You can’t come to Rome without sampling some of the food here, particularly the pasta. 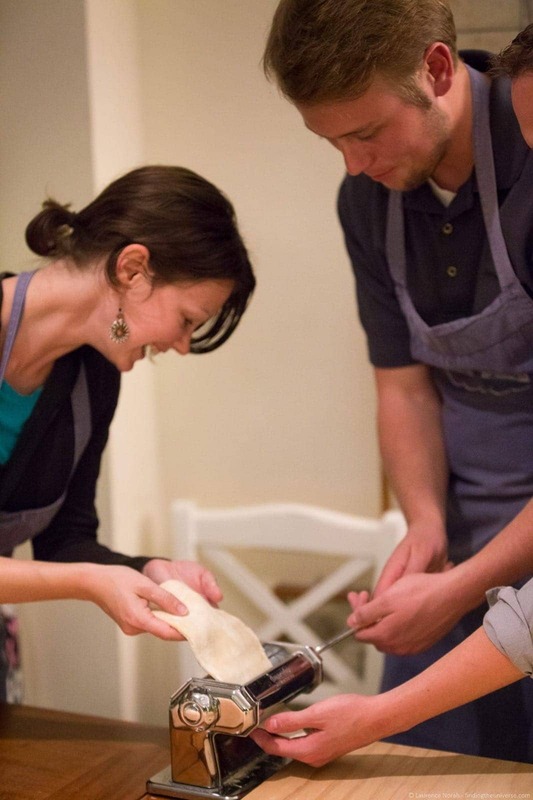 Wouldn’t it be even better if you could learn how to make pasta like the locals do, and take your knowledge home with you? That’s exactly what we did on the Walks of Italy Pasta Making Class tour! This one isn’t a walking tour. Rather, you visit a local chef and his gorgeous roof-top apartment, and learn about the art of pasta making with a small group of people. This was a wonderful way to spend an evening. The chef was friendly and knowledgeable, sharing with us the secrets of cooking, everything from how to cut an onion through to when to add the salt (hint: right at the end of cooking!). 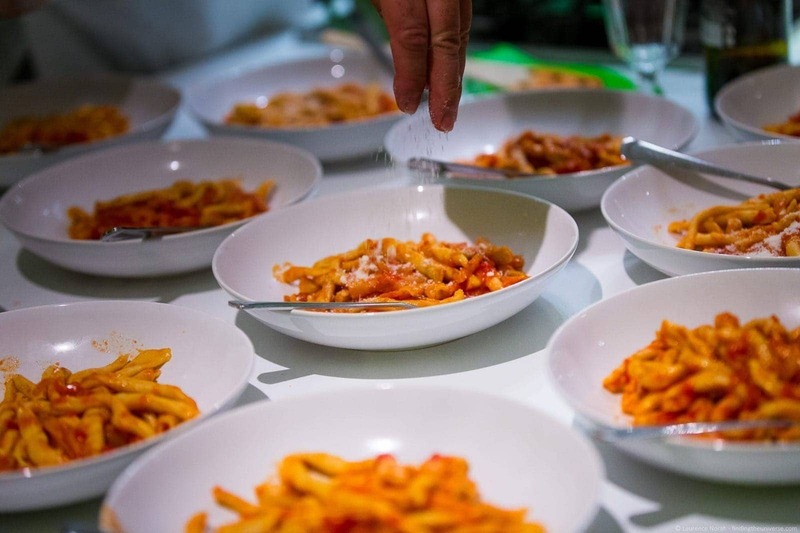 We started the evening with aperitifs and prosecco, before we were shown how to make the ragú, a tomato based sauce which in this case was a traditional Pasta all’Amatriciana. Then, with plenty of delicious Italian red wine from Abruzzo to accompany our efforts, it was on to the meat of the evening, the actual pasta making. We made this from scratch, using flour and water, before rolling it out and creating the pasta shapes. This was a lot of fun, and our group had a lot of laughs over wine and floury hands as we got to grips with the hand wound pasta machine, and each found out which part of the process we were best at. In my case, I think the eating. Which was of course how we rounded off the evening – we got to eat our wonderful creation, which was just delicious, accompanied by even more lovely Italian red wine, after which we finshed with a shot of ice cold limoncello! I can very much recommend this evening of pasta making. 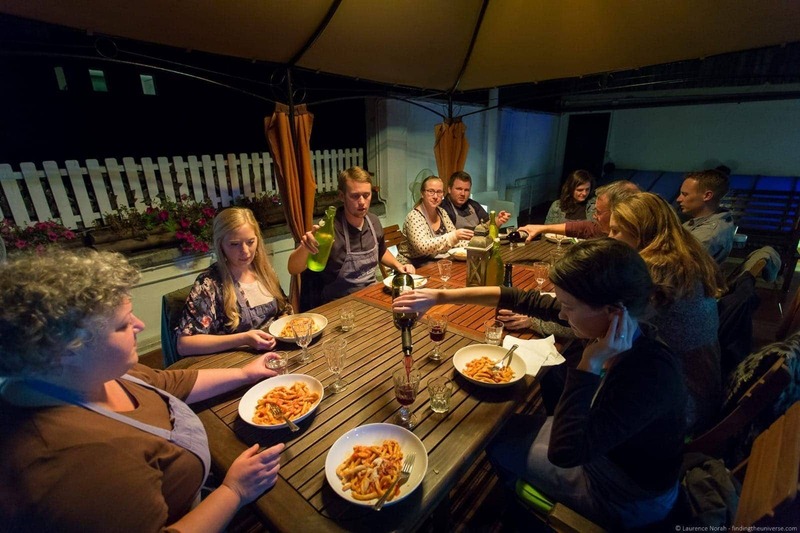 It’s a lot of fun, you meet new people, learn a few things, eat and drink piles of delicious Italian food, all in a marvellous roof top setting. A memory you definitely won’t forget. 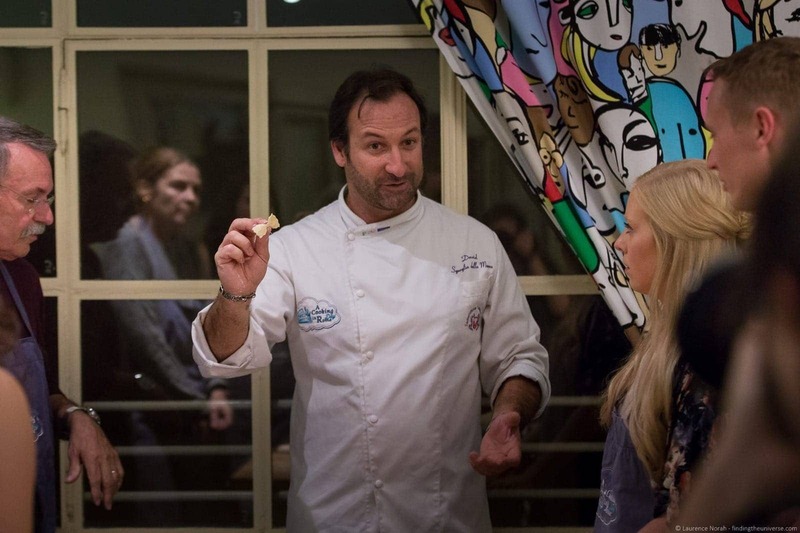 You also are given a website by the chef which contains a list of all the recipes for the pasta and food from the evening so you can prepare it at home. And that about wraps up my suggestions for getting the most out of a short trip to Rome. On a shorter trip like this, taking a series of walking tours can really maximise what you are able to see and achieve. 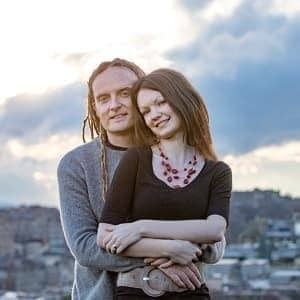 The small group tours that Walks offers makes the experience a little more intimate, and you’ll have plenty of opportunity to interact with the guides and ask questions. Then, you’ll have loads of free time during the remainder of the days to explore at your leisure. Walks of Italy offer a great many tours in Rome, so you can mix and match the above to create your perfect itinerary, and have a journey to really remember. We actually took a fourth Walks of Italy Tour in Rome! Read about our visit to the Borghese Gallery here. 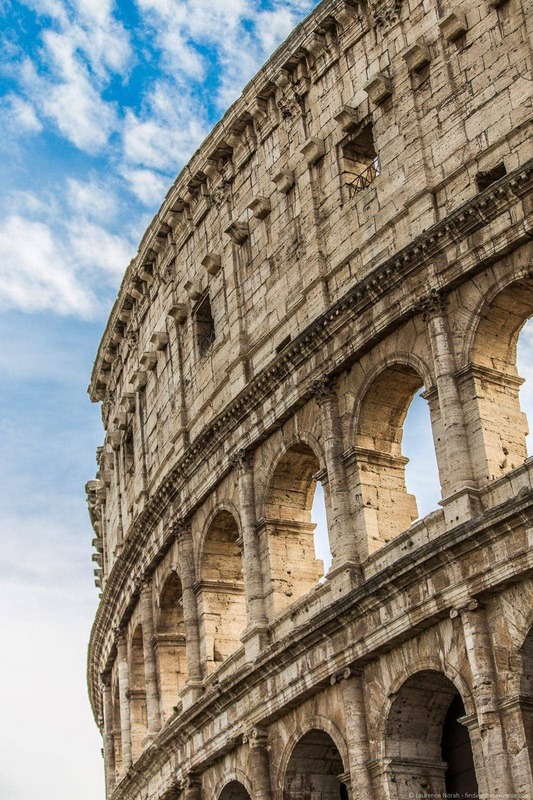 If you’re in Rome for a little longer, and looking to save money on attractions, check out the Rome Pass for an excellent way to see more sights for less money! Disclaimer – We received complimentary walking tours with Walks of Italy in exchange for sharing our honest opinion of the walking tours. For more on how we choose who to work with, see our code of ethics.